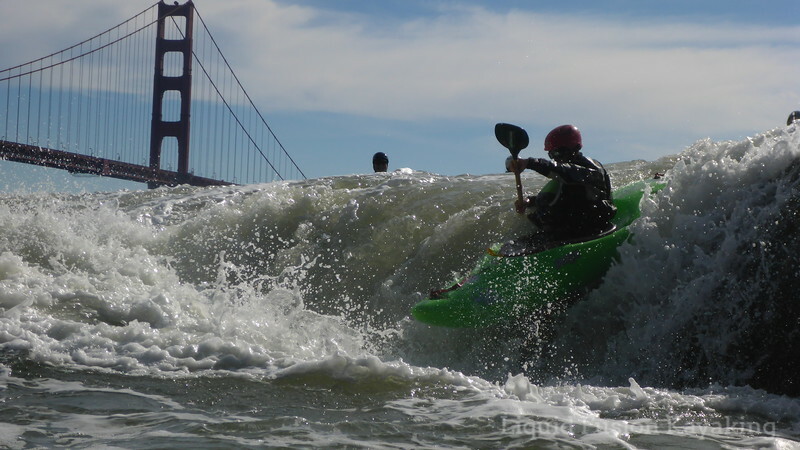 Earlier this month, Jeff and I coached at Paddle Golden Gate. It was a gorgeous weekend in the San Francisco Bay area with lots of excited and eager students. I enjoyed teaching rock garden classes and getting to hang out with other paddlers. However, I have to admit that the post symposium shenanigans is what I enjoyed the most. One of my favorite things about kayak symposiums is getting together with other coaches. It is a time for us to share ideas and experiences. There is sense of family among us, and we relish the opportunity to get together and catch up - and do some boating. 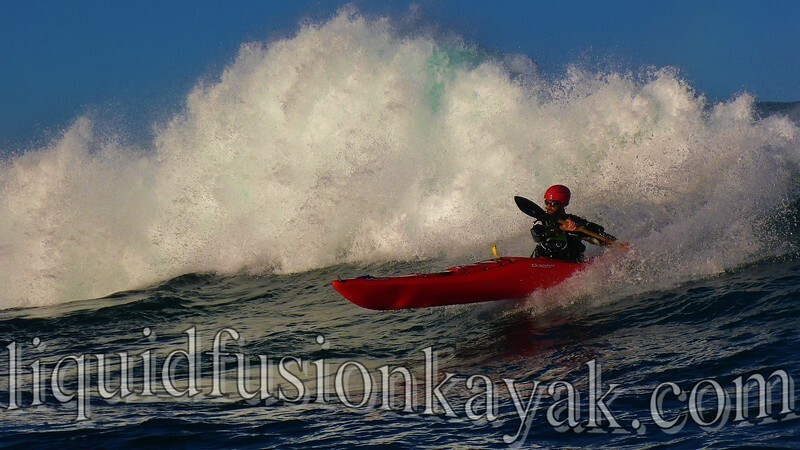 It has become a tradition for many of the Pacific Northwest Coaches to stop by Liquid Fusion Kayaking's playground on the Mendocino Coast on their way home from events in the bay area. 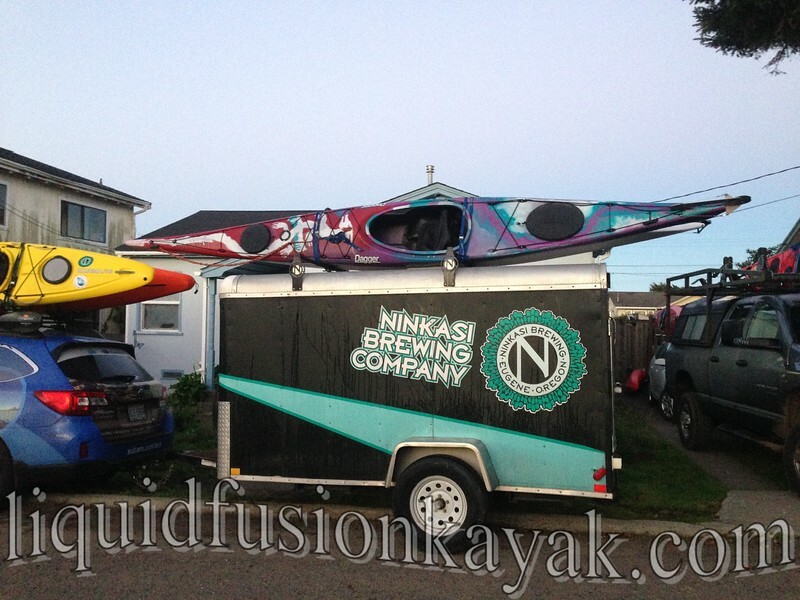 This year we had a full house including the Ninkasi beer wagon. I feel like the luckiest girl alive when I get to share my paddling playground with some of the most inspiring paddlers in the profession. 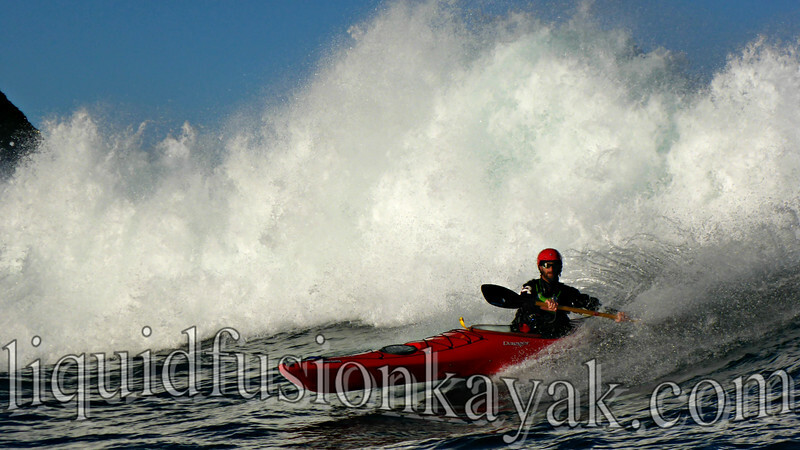 Often conditions are quite sporty for the coaches' paddle, and it is refreshing to be out there with a competent team. 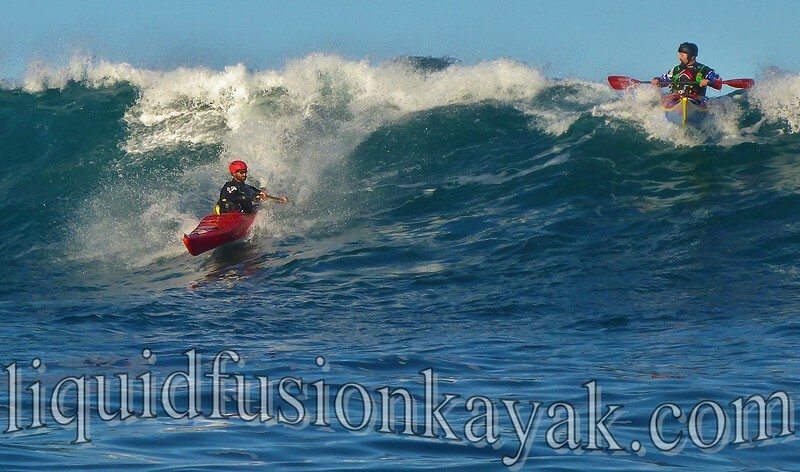 All though we only paddle together several times a year, we work well as a team. The team trusts one another to make good decisions but are also there if things don't work out. It is a great environment for pushing the limits. Me getting in a little rock garden play in Noyo Bay. 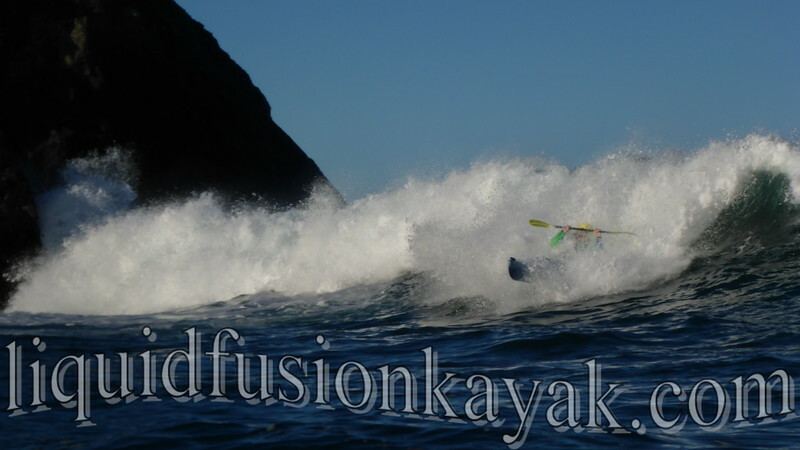 This year's Mendo Coaches Paddle was no exception. 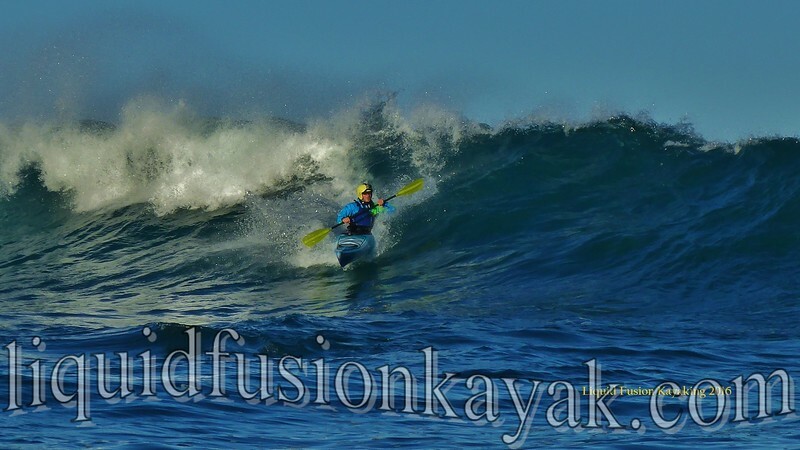 Conditions were sporty with a sizable long period swell and a 6.6 foot high tide. 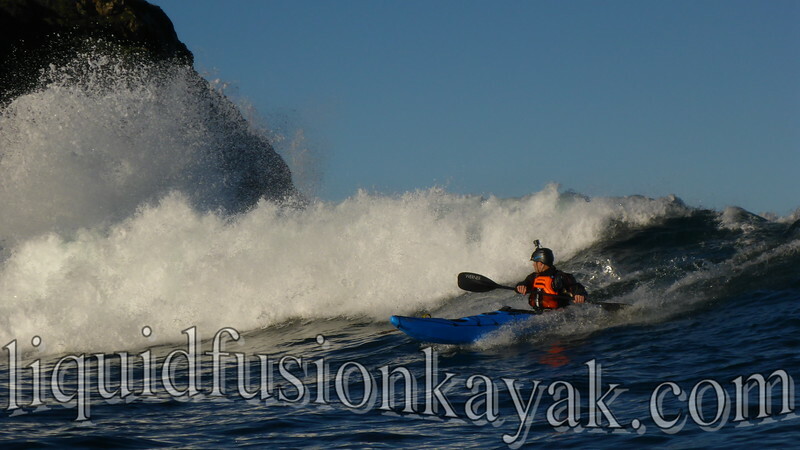 We headed out to the Noyo Bay which offers a little bit of everything - rock gardening, surfing, sea caves, and lots of dynamic water. The rock gardening was of course just a warm-up as surfing was what was on everyone's mind. Chicken Point was calling, and the boyz were answering. Today, Chicken Point was showing her multiple personalities. Knowing Chicken Point well, I recognized her split personality toying with us and decided that I wasn't willing to pay to play. I positioned myself on the inside to photograph the boyz as they negotiated their rides with her. She was exerting her all today and even challenged my presence with cleanup sets that barreled through the usual safe zone. 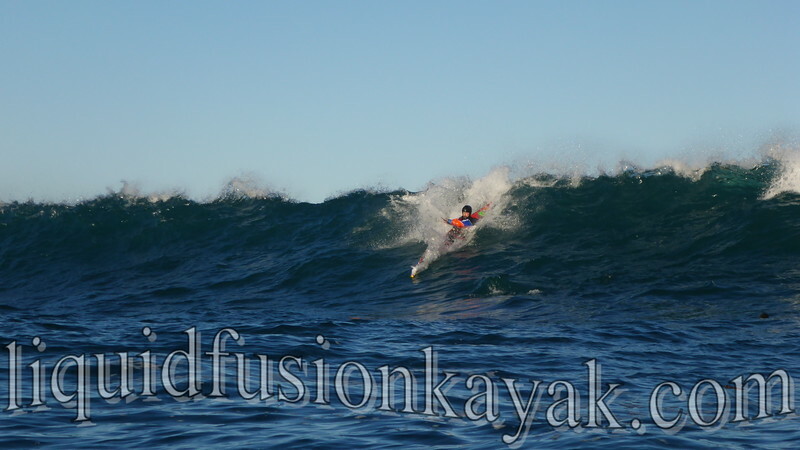 She teased with low angle waves that required a good running start to catch but rewarded with long glassy rides. Then she flexed her might with exhilarating steep drops and bombing lefts that had the surfers constantly looking over their shoulder to see what she was unleashing. Sometimes it was her thundering and exploding over the rocks and into the cliff. 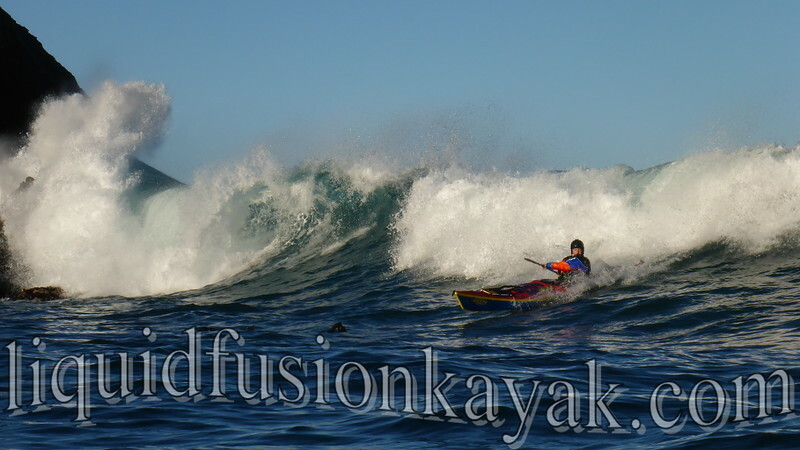 Sometimes it was her boil lines pitching into roaring foam piles. 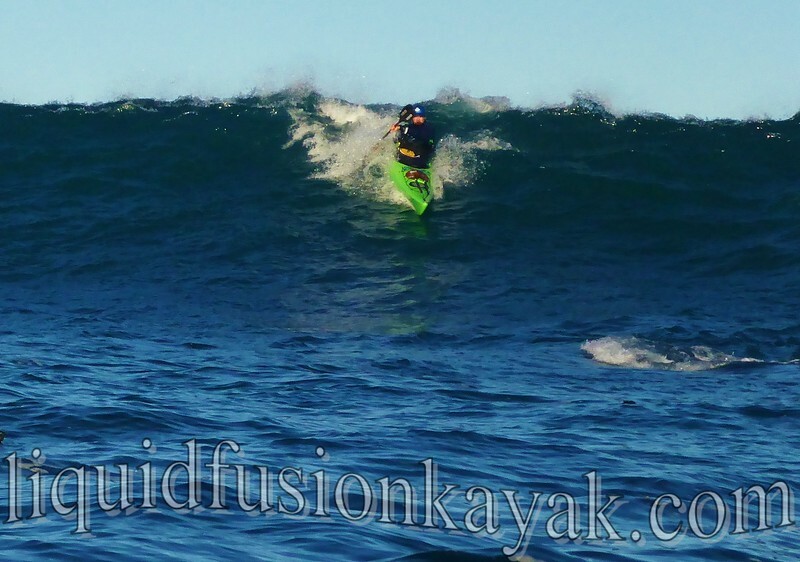 Paddlers who were willing to drop in deep were treated to steep drops and spectacular rides but also punished as the ocean let us know that she is the boss and spectacular rides have a price. Jaime Sharp pulls off a deep drop. From behind the lens, my emotions ran the spectrum of wonder and excitement to thrill and terror. The boyz were flying today at supersonic speed. 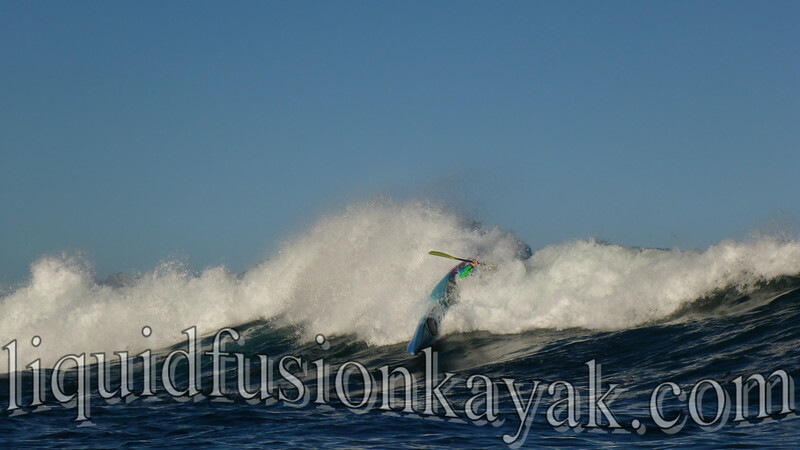 Bows planned above the surface of the wave on one ride and buried on the next. I watched with wonder and amazement as seemingly unrecoverable drops were made and disaster thwarted. 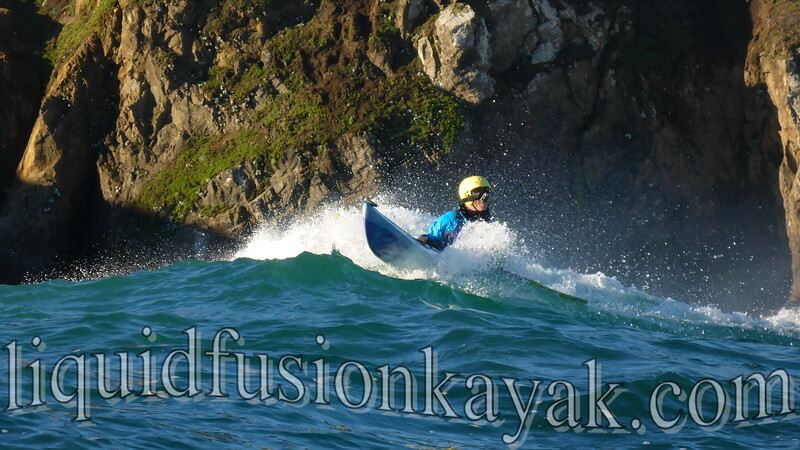 Paul Kuthe recovers nicely from this steep drop at Chicken Point. Wave selection and positioning were key. Reference points and indicators were challenging with the varied swell. Chicken Point lured the paddlers inside the boil line with lower energy swells and then switched on the juice and slammed them with meaty long period energy. Jeff and I know this dance well. It was fun to see him relaxed and in perfect position and time with her energy - flying with her. This year, we added a couple new members to the Chicken Point Swim Club. It is a distinguished list with tales for another day. As I write this, I can hear Chicken Point churning out waves and thundering into the cliffs. She is calling . . . is anyone home? 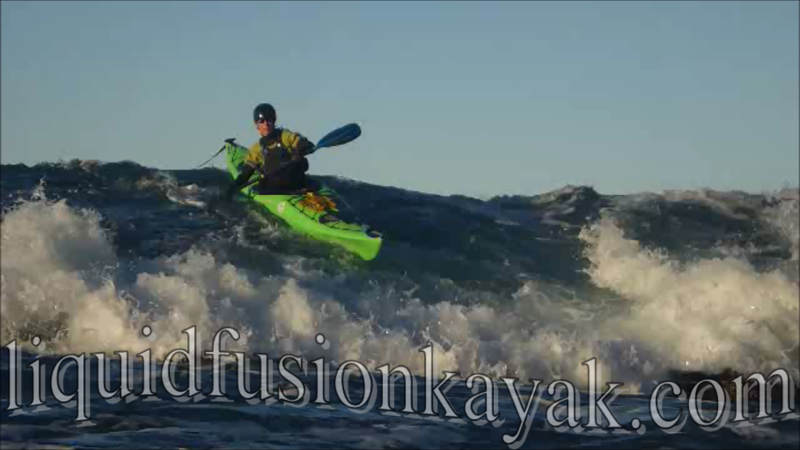 Here's a new video that I put together for a video contest at Paddle Golden Gate Symposium. I hope that you enjoy this edit. Some of the footage you might recognize; however, there is some new footage and old footage that I haven't used before.